It’s odd. 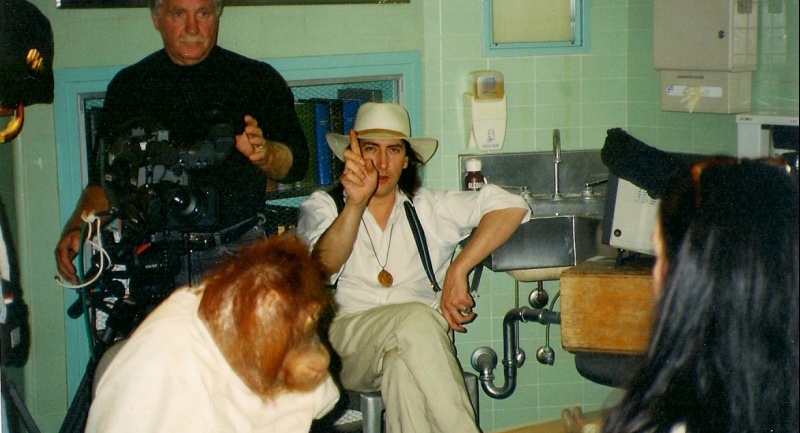 While I was reviewing the 1996 version of The Island of Dr. Moreau a couple of months ago, I was made aware of this fantastic documentary. I missed seeing it when it screened her in Toronto. It just seemed so strange, I was literally watching the film when my Facebook feed notified me of the existence of the documentary. Very weird. I missed it then, but now, it’s available on Netflix! It follows the bumpy road the film took to production. 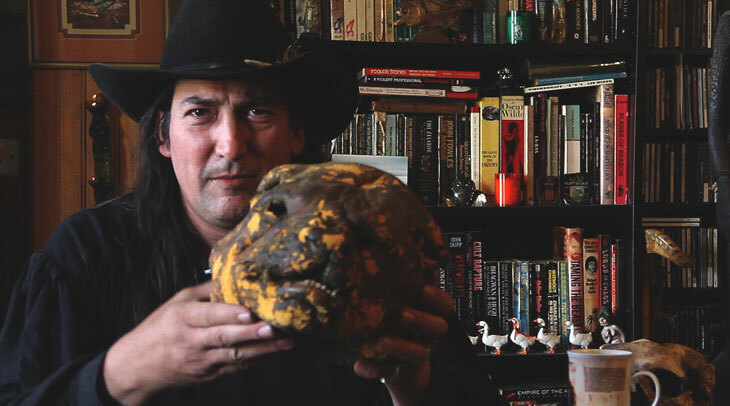 There is the introduction of Richard Stanley, an up and coming indie filmmaker in the early 90s, best known for his low-budget, but inspired films, Hardware, and Dust Devil. Stanley himself comes across as unusual, and artistic, and after a lot of hard work, he is offered the chance to direct the latest big screen adaptation of H.G. Well’s terrifying novel for New Line Cinema. We follow the film through its pre-production, we see Stanley’s passion for the project, and how, just a few short days into filming everything started to go sideways for him, and New Line stepped in, fired him, and replaced him with John Frankenheimer. But once Stanley was off the film, perhaps even before, the film was doomed, ruining careers of almost everyone involved, as the battle of the egos that was Marlon Brando and Val Kilmer threatened to leave the film completely unmarketable. I am a huge fan of behind the scenes documentaries, learning about what was, what could have been, how things were done, and I openly admit, Stanley’s version of the film would have been something to see. The film provides interviews with a number of crew members, as well as Stanley, actress Fairuza Balk, and New Line’s Robert Shaye. We’re taken through conferences, rumors and stories of witchcraft (seriously), strange interactions with Brando, location scouts, effects work (provided by Stan Winston studios) and the original dream cast for the movie (Brando, Bruce Willis and James Woods), but compromises were made, shooting schedules changed, availabilities were changed and that was just for starters. The pre-production of the film caused a series of problems as casting issues came up, early test shoots made New Line suits anxious about Stanley’s leadership, and his increasing paranoia, despite the fact that he was eager, passionate and excited to be engaged in the project. But even when Stanley was removed from the director’s chair, he didn’t get on a plane like he was supposed to, instead, he ended up hanging close by, becoming an extra on the set, so he could see what was being done to his movie. What this documentary gives us is a brilliant, entertaining and fascinating look behind the scenes of one of Hollywood’s most infamous films. If you’re a film buff, this one is a bit of a must.